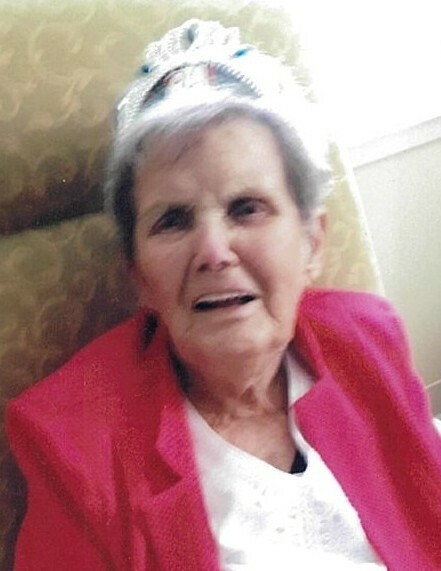 It is with great sadness the family of Hazel Knowlton announce her passing which occurred at Embassy Hall, Quispamsis on Wednesday April 3, 2019. Born in Saint John on June 17, 1922 she was the daughter of the late Elijah and Elizabeth (Jonah) Kierstead. In her earlier years Hazel was a Counselor and unit supervisor at the Dr. Roberts Hospital retiring when she turned 65 years old. She was a loving and devoted mother and nan and enjoyed spending time with family and friends. Hazel had a great sense of humour and was quick witted she said it was her 15 years snow birding in Florida that kept her young. Hazel is survived by her daughters Sharon Davidson (Tom), Brenda Terrio and Vickie Taylor; son James Knowlton; sisters Ruth Beshara and Patricia Beshara (Ron); 6 grandchildren and 4 great-grandchildren; nieces, nephews and friends. Along with her parents, Hazel was predeceased by her husband Merle “Mike” Knowlton; brothers Elmer, Richard and Leslie; sisters Lillian, Mildred and Norma. Arrangements are under the direction of the Fundy Funeral Home, 230 Westmorland Road (646-2424) with visitation on Sunday April 7th, 2019 from 2-6 p.m. Celebration of Hazel’s Life will be held from the Fundy Funeral Home Chapel on Monday April 8th, 2019 at 10:00 a.m. followed by a reception. Interment to be held at Ocean View Memorial Gardens at a later date. Donations in Hazel’s memory can be made to the charity of the donor’s choice.